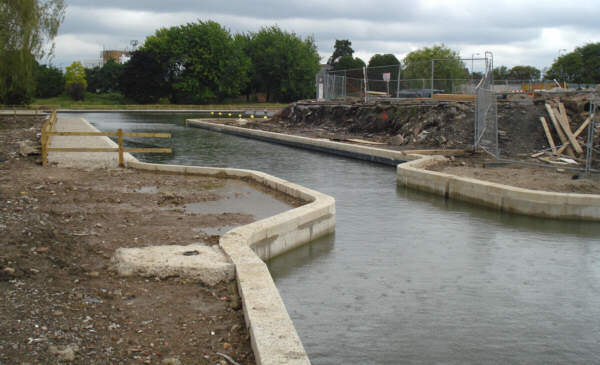 This page shows photos of the new canal and marina filled with water in July 2008, being officially opened in September 2008 and in use as a marina at the end of 2009. 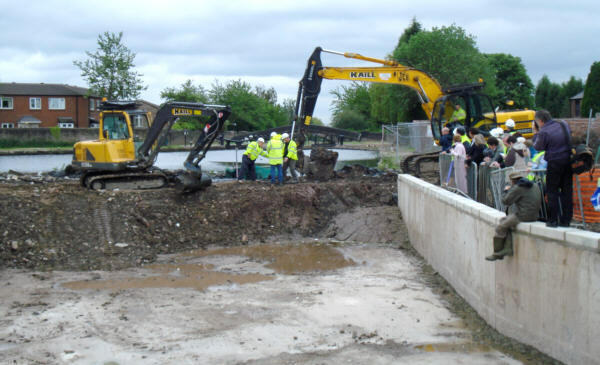 The excavators get ready to make a hole in the bund. Councillor Keiran Quinn prepares to pull the lever. Water starts to pour through the gap made in the dam. 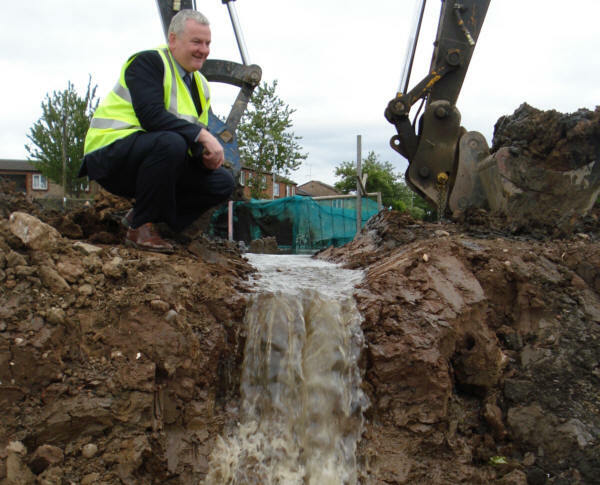 Councillor Keiran Quinn watches the marina filling up. 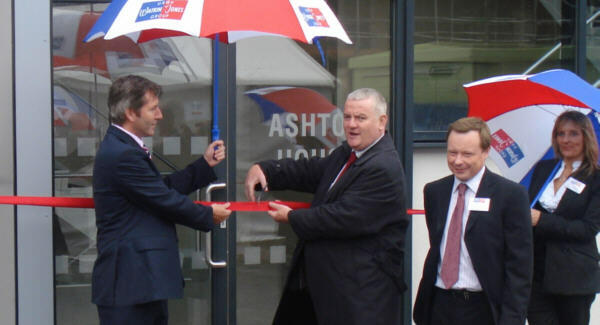 He said that this was an emotional moment and it felt that the development that will transform Droylsden was now "halfway there". 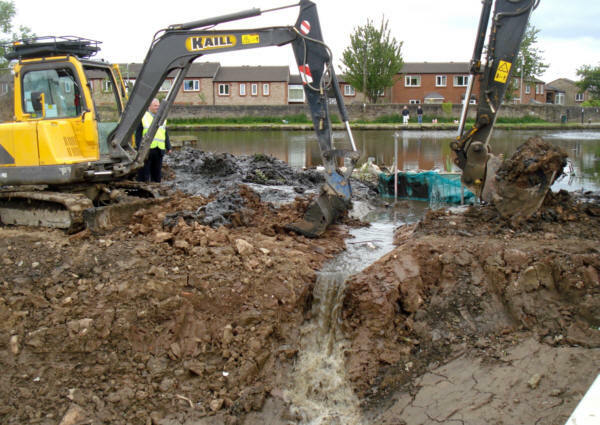 The marina will be filled very slowly and could take several weeks for the level to be reached. 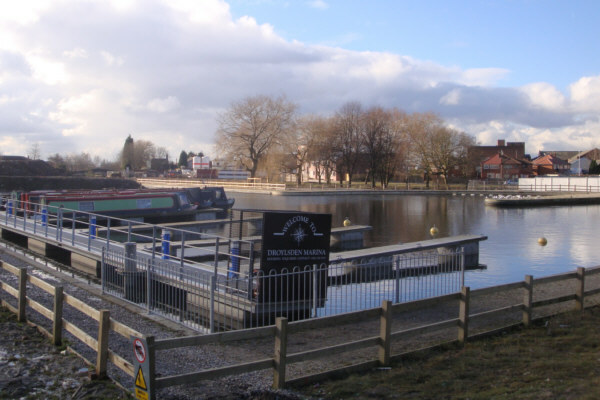 Looking across the marina basin from the central pier. 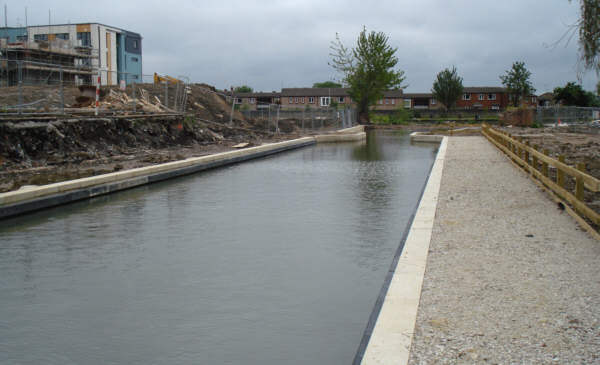 The first section of the Hollinwood Branch has been re-built to form the entrance channel to the marina basin. 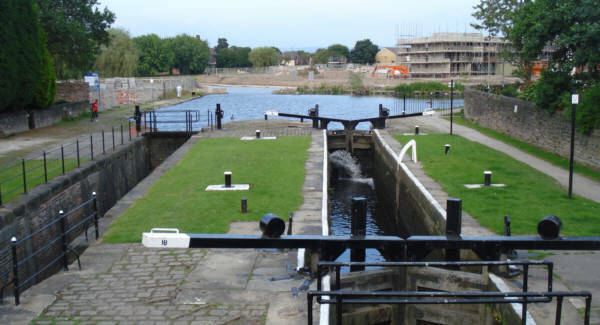 Looking along the line of the canal from the junction, past the stop plank narrows, towards the marina basin. 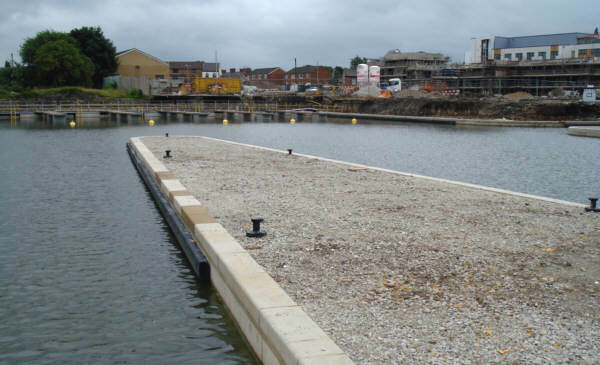 Looking from the floating pontoons towards the entrance channel. 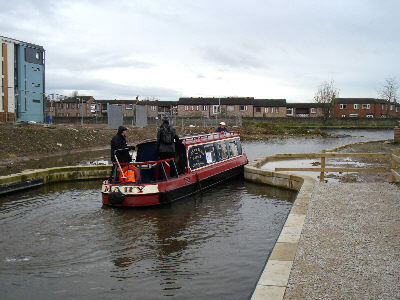 The familiar view of Fairfield Junction from Fairfield Locks now includes the start of the Hollinwood Branch back in water. 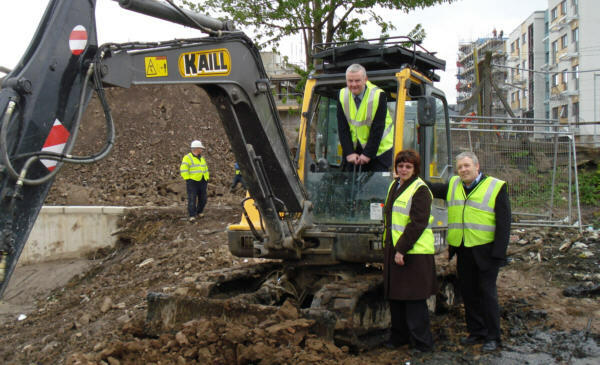 In September 2008, Councillor Keiran Quinn cuts the ribbon to open the waterfront apartments. 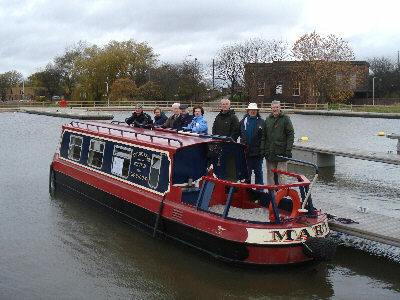 The guests then took a boat trip around the new marina. 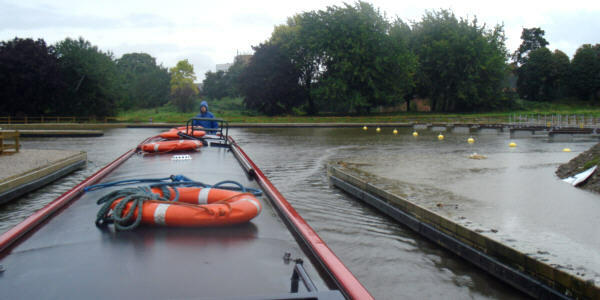 Unfortunately it was raining heavily so plans for guests to disembark and walk around were abandoned. 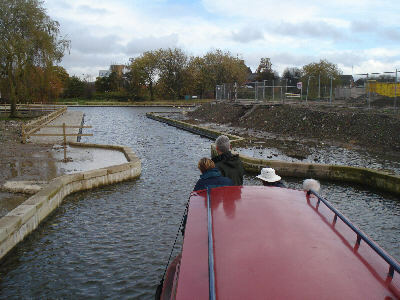 December 2008: Society members visit the Marina by boat. 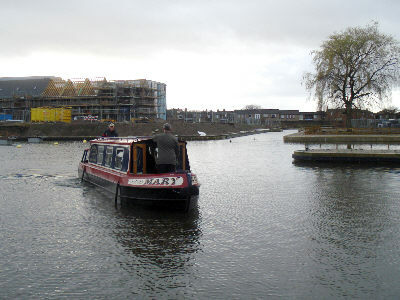 Testing out the new length of canal. Taking a tour around the Marina basin. 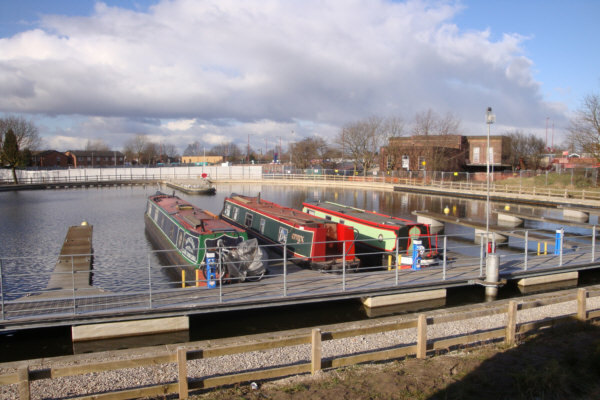 At the end of 2009 Portland Basin Marina agreed to manage the moorings at Droylsden. 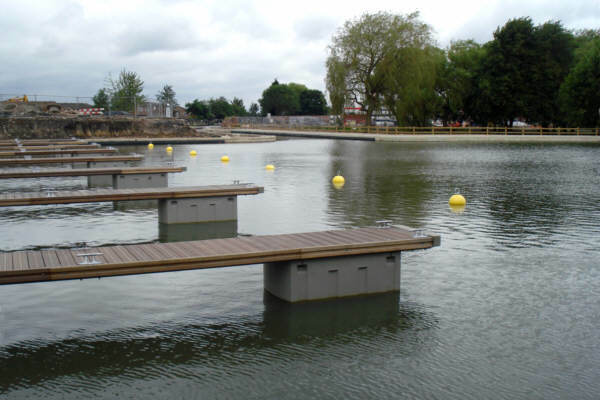 The first boats are already moored at the floating pontoons. 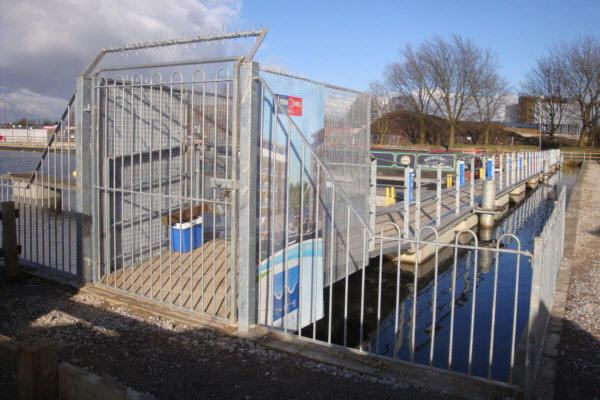 Secure entrance to the pontoons. 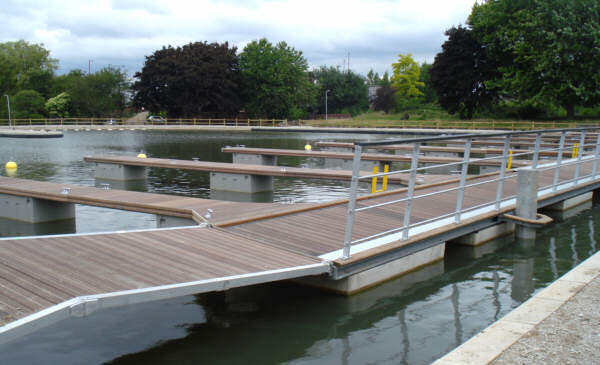 There is now power and water to the pontoons. 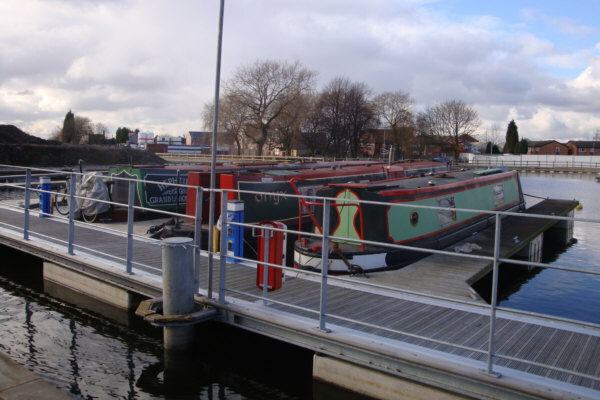 More boats will be arriving in Spring once the canal maintenance stoppages are over.